Application process, with college searching. NOTE: We don't have any connection with any University in US or other countries. The application and selection is totally on the profile of the student. We work hard to build student's profile with him. Personal attention is provided to every student and selection of Universities will be on the basis of 3C's (Course, College and Country). Our target for application will be for TOP 100 Universities of World. 1. SAT/ACT preparation (3 month and 6 month program). 2. 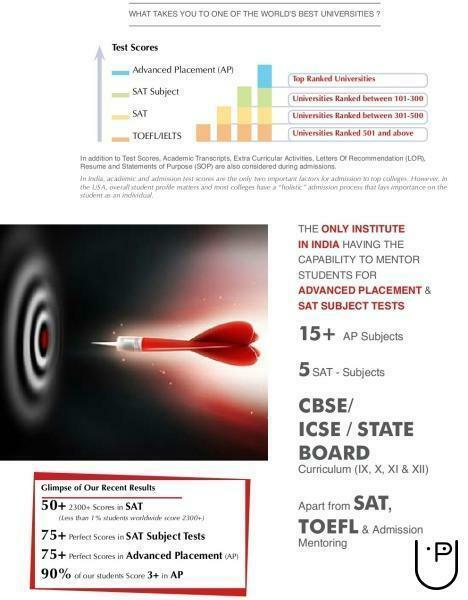 SAT (subject test) ( 6 month program). 3. TOEFL/IELTS (2 month program) . 4. All above 3 test preparation (6 month program) . 5. Advance placement (AP's) . 6. CBSE+IB+IGCSE preparation (9, 10, 11, and 12 classes) with standardized Exam preparation in our 4 year, 3 year, 2 year and 1 year respectively programs. 7. 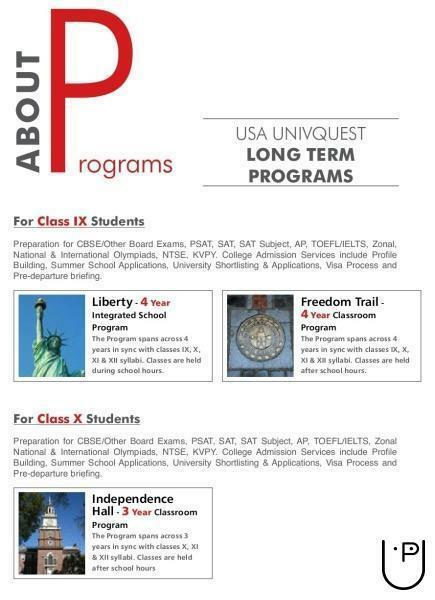 US universities application. 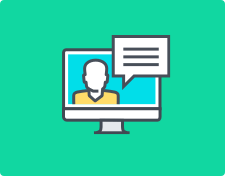 (3 and 6 month program) with proper assistance on LOR, SOP, Essay and other required inputs. 8. University guidance about future career ( free ). How many times can we apply for GRE, TOEFL, IELTS and GATE? As many number of time you need. The first three are not competitions, they are just an exam and the score you scored will be your won score and accordingly you apply to different univerities accepting that range of score. But GATE is competition for taking admission in M. Tech/MS programs in different premium IIT's, NIT's ,IIIT's and other Engineering colleges in India. So this need good percentile. How should I structure my SOP/POR for an MS from a good US university, if I did my B.Tech (77%) from a private college affiliated with RTU, Kota? I have 1.5 yrs of IT experience, but I am very good at programming. What if I get a 320+ GRE score? there are lots of WHY in your question which shows that you are relating one condition to other. Dear first of all preapre for GRE and score above 320+. Once you have good GRE score then good univeritites can be choosen otherwise we have to settle to some lower rank univeritites. Now a days GRE score should be perfect and you should be in top 1% of the scorer. Also you should have to take help of some professional for your LOR and SOP. YOu B.Tech score is not extraordinary but GRE score can overrule this. So try to have excellent GRE score. Also your work ecxperience will be added advantage if you have done any project on your own. For more search me at Quora. How to talking or speaking English, because I will go to Bangkok? How you learned your mother tongue? The same way you will learn any other language. This means you have to put a side your hesitation and fill yourself with full dedication and commitment. Speak with your friends and family members and ask them to point you in last where you have done wrong. Try to improve those errors and read as much as you can. Also watch English news channels specially TIMES NOW and REPUBLIC News debates. Look and understand how are they framing the sentences and how are they pronouncing words. That will give you speech confidence. Also prepare for TOEFL/IELTS as they have all sections like Speaking, Reading, Writing and Listening. Also this exam will give you edge over others for visa to any English speaking country . Is 0 a prime number or not? According to the definition of prime number - A number having exactly two distinct divisors is a prime number. And since 0 can be divided by any number and the answer is zero. This means 0 has infinite district divisors so it can't be taken into the group of prime number. Hence 0 is not a prime number. Everyone has answered here that zero is not prime number but why? And reason I have give. You In the same manner 1 is not prime, because it has 1 as its single factor so can't be prime. In many books you will find definition of prime number as - A number having 1 and itself as its factor pare prime number, so with this definition 1 also should be prime as it has 1 and also i1 itself as factor. Which make their definition and concept wrong. I think you git that. 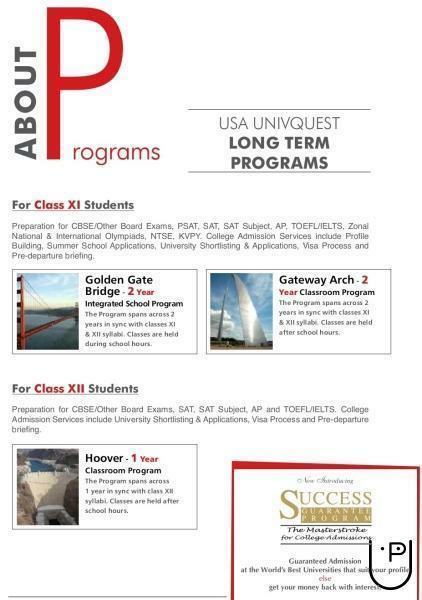 USAUnivQuest conducts classes in ACT Exam Coaching, Advanced Placement Tests Coaching and Class 10 Tuition. It is located in Hauz Khas, Delhi. It takes Regular Classes- at the Institute.